Linton Cycle Sales is a retail powersports dealership in Linton, Indiana. We are a locally owned and operated business providing powersports products to make your outdoor recreation easier and more enjoyable. We service the entire southern Indiana area including; Terre Haute, Bloomington, Vincennes, Sullivan, Washington, Bedford, and even the southeastern Illinois area. Please stop in or call us for the best deals around. We offer experience, fair prices, and a friendly no hassle atmosphere. We're big enough to cover the broad range of powersport product needs you may have, yet small enough to greet you on a first-name basis. 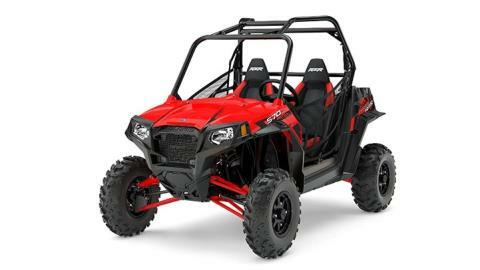 At Linton Cycle, you can find Kawasaki motorcycles, Suzuki motorcycles, Kawasaki ATVs, Suzuki ATVs, Polaris ATVs, Kawasaki Mule utility vehicles, and accessories by all the top brands. We also offer parts and accessories for American V-Twins from manufacturers such as Rev Tech, Ultima, S&S, Drag Specialties, Custom Chrome, Kuryakyn and more. Our complete customer service options include sales, a first class parts department, and an award-winning service department offering tune-ups, cylinder boring, performance work, American V-Twin service, and much, much more! We have earned the coveted Suzuki Super Service Award of Excellence, by maintaining a 95% or higher Customer Satisfaction Score! Our goal at Linton Cycle is to provide our customers with unbeatable service, the best products, and the feeling of great satisfaction every time they come in. Call or stop in today and see what we can do for you. You'll be glad you did!